The tiny Buffy-tufted-ear Marmoset is on the brink of extinction in the wild but conservationists are determined to save it. 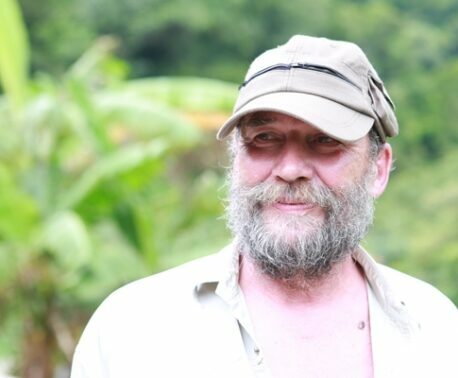 Miranda Stevenson reports on a plan to protect the species in the Atlantic forest of Brazil. High up in the mountains in Brazil’s Atlantic rainforest survives an endearing primate. With skull-like markings on its face and pale tufts of hair over its ears, this striking little marmoset is aptly named the Buffy-tufted-ear Marmoset (Callithrix aurita), and it is in deep trouble. Its once continuous and almost inaccessible mountain forest habitat in the states of Rio, Sao Paulo and Minas Gerrais is fast disappearing and as little as 7 per cent of its former range is now left, these areas having undergone great human alteration and urbanisation. The species has been classified as Endangered (Threatened with Extinction) in the Brazilian Red List of Fauna, and the alarm bells are ringing for Brazilian primatologists, who believe its situation and future prospects are becoming bleaker. Ironically, a more immediate threat now exists in the form of two other species of marmosets – Common Marmoset (Callithrix jacchus) and Black-pencilled Marmosets (Callithrix pencillata) – that are rapidly colonising the range of the Buffy-tufted-eared. 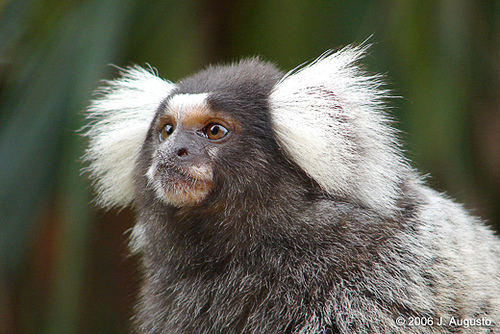 These invading marmosets are indigenous to distant parts of Brazil but have been released from the pet trade into the area. Robust animals, they seem adaptable to changes in the environment, moving into semi-degraded and some urban areas. As the two invasive species can hybridise with the indigenous Buffy-tufted-ear Marmoset, the threat to the latter is very immediate, and there is a risk that all the pure wild Callithrix aurita will be wiped out. Surveys carried out some time ago showed there were only a handful of pure-bred populations left in isolated fragments, and today there are fewer than 10 pure individuals of the species in captivity. However, all is not lost. Passionate conservationists are determined that this tiny primate can be saved and Rodrigo Salles de Carvalho of Rio de Janeiro University is spearheading an action plan to secure a future for this most beautiful of marmosets. A full scale survey of its former range needs to be undertaken quickly, starting with two areas where the species is known to occur: in Serra dos Órgãos National Park, where there is known to be a pure bred population, and in Reserva Ecológica de Guapi Assu (REGUA). Sponsored by World Land Trust, REGUA is a private reserve measuring 21,000 acres (8,500 hectares), in the state of Rio de Janeiro. The Guapi Assu survey is urgently needed as hybrids have been seen in the area. REGUA is located next to Três Picos State Park, a gigantic area of nearly 200,000 acres (80,000 hectares) of montane sub tropical forest, and home to the Callithrix aurita. The first step is to raise funds to survey both Callithrix aurita and Callithrix jacchus in REGUA and find out exactly what the hybridisation problem is and how big the Callithrix aurita population is. The survey will find out where this marmoset still occurs, and where it is hybridising or threatened due to the presence of the invasive marmoset species. It will also identify areas of forest that have potential as reintroduction sites for translocated groups or future releases from a captive population. 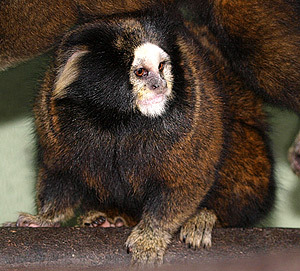 Former pet Common Marmosets are colonising the range of the Buffy-tufted-ear Marmoset and hybridising with it. Image courtesy of Miranda Stevenson. An important component of the project will be to rescue groups that are still pure but are deemed to be in immediate risk of habitat destruction or hybridisation. Translocation of these groups or individuals to other forest patches will happen where possible, but individuals will also come into captivity to help build on the pure bred captive population as a safety net. Setting up a captive population is a crucial element of the conservation initiative and a studbook for those few individuals that are in captivity has been started. Further specialist enclosures need to be built to increase capacity for the species and create a valuable genetic reservoir. Captive populations will provide a source of candidates for reintroduction and a safeguard for the future of the species, if the situation in the wild deteriorates. An ongoing programme of specialist primate workshops is under way, in collaboration with European and American experts in the captive care and conservation of marmosets and tamarins. A focal group working on the needs of the species in the wild and captivity has been formed and is being developed through these workshops. Halting the further invasion of alien marmosets is of the utmost urgency along with, if possible, their removal from areas where they have already become established. This is a difficult task, and work will include active control and exclusion of these species. Non-surgical sterilisation will be performed on the males of the invasive marmosets. 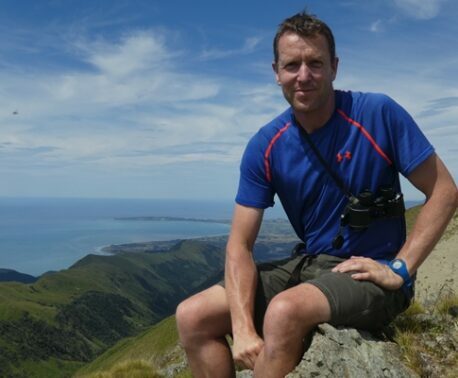 Thanks to swift action on the part of international conservationists and zoologists, a plan is now in place and actions have started. But only time will tell if it is possible to safeguard the future of this charismatic little monkey of the mountains.